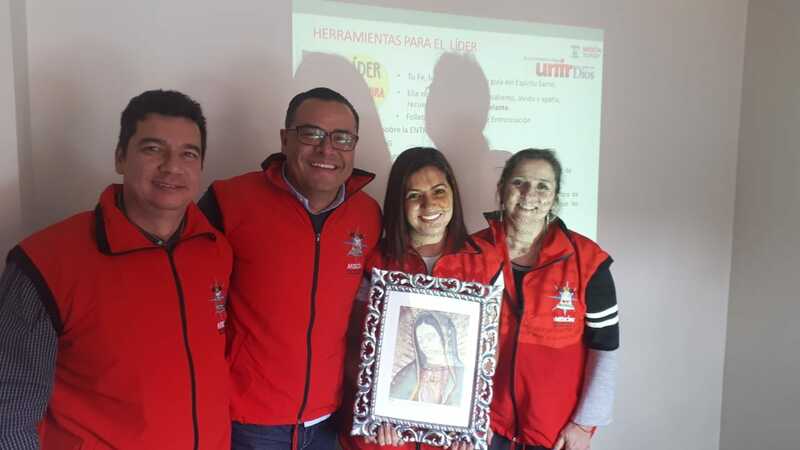 Work has begun on the Sowing Leaders project in Bogotá, Colombia, where the enthronement of Our Lady of Guadalupe is sought in as many households as possible through small groups of committed people that make a multiplier effect. Several meetings have been held, especially in the Diocese of Fontibón, counting at the moment with 18 planting leaders. 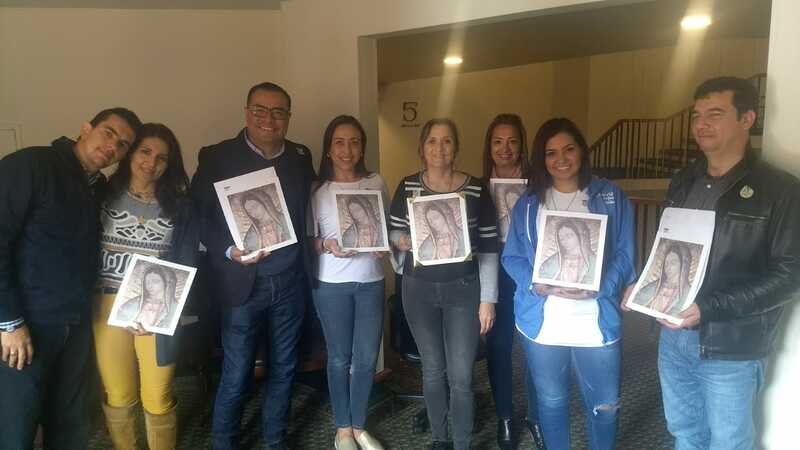 The enthronement kit is being delivered with a cardboard support, with the leaflet of the rosary of the Mission and 1 Rosary (that is elaborated in the courses of Rosary Workshops in the parishes) and with a cardboard with the morning prayers.